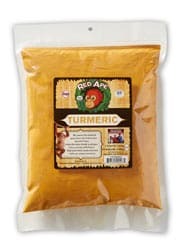 Most turmeric is oven dried and then ground quickly. This causes some of the vital oils to burn off. These oils contain not only the healthy curcumin but the beautiful aroma and color. 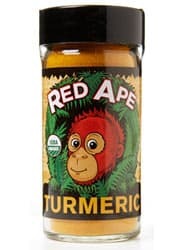 Red Ape Turmeric is created the old fashioned way. 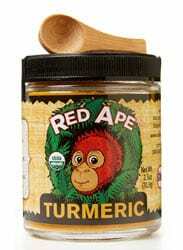 It is sun-dried on the tropical island of Java and then slowly ground, leaving the vital oils and curcumin intact. Heal your mind, body and soul with this magical spice. • Never heated above 118 degrees.